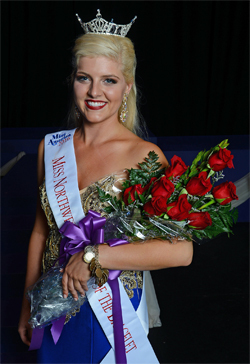 NATCHITOCHES – Marissa McMickens of Pineville, was named winner of the 58th Annual Miss Northwestern – Lady of the Bracelet Pageant held Friday at Northwestern State University. 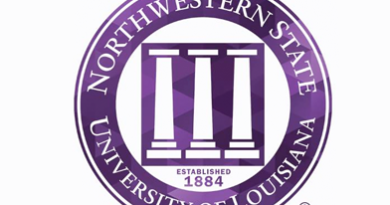 McMickens, a junior theatre major, received more than $7,000 in scholarships and prizes and will represent Northwestern State in June’s Miss Louisiana Pageant in Monroe. 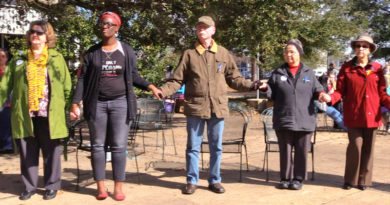 McMickens is active in Northwestern Theatre and Dance and is a member of the NSU Dance Company, Broadway to Go and Make Your Own Theatre. McMickens is a member of Phi Mu Fraternity. 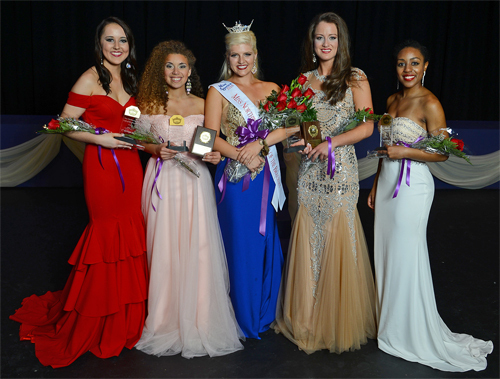 Top finishers in the 2016 Miss Northwestern – Lady of the Bracelet pageant were, from left, third runner up Hannah Teutsch of Haughton, first runner up Chelsey Goldsmith of Edmond, Oklahoma, 2016 Miss Northwestern Lady of the Bracelet Marissa McMickens of Pineville, second runner up Faith Stanfield of Natchitoches and fourth runner up Skilynn Fontenot of Eunice. Chelsey Goldsmith of Edmond, Oklahoma was first runner up, Faith Stanfield of Natchitoches was second runner up, Hannah Teutsch of Haughton was third runner up and Skilynn Fontenot of Eunice was fourth runner up. Goldsmith won the talent competition, Stanfield won the swimsuit competition and McMickens received the Liz Carroll People’s Choice Award selected by the pageant audience. Ragan Aple of Shreveport was named Miss Congeniality and Lincoln Pearce of Florien won the Children Miracle Network Miracle Maker Award.